It’s the first day of summer and we are in the throes of summer wanderlust. So what do we do? We obsess over Etsy camera bags for our travels. Sure we could buy any old bag at the camera store or on Amazon, but when it comes to camera bags we want something a little more special. For us, travel and photography go hand and hand, and this means that we are always slinging a camera and always, always in search of that elusive “perfect” camera bag to accompany us lighten our load and protect our precious babies (lenses and cameras). Do you share this quest? Come see what we found! Disclosure: This website is an Etsy Affiliate program member. All opinions and a longterm obsession with Etsy are our own. 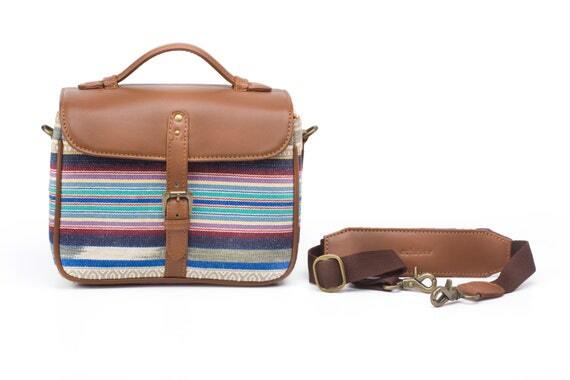 This unisex Etsy Camera bag is perfect for the world traveler who values simplicity. Its shock-absorbing interior was made to hold your DSLR camera and it’s lenses safely, while the exterior has multiple pockets to organize items and is made of vegetable-tanned leather, creating a reliable and fashionable camera bag for both men and women. 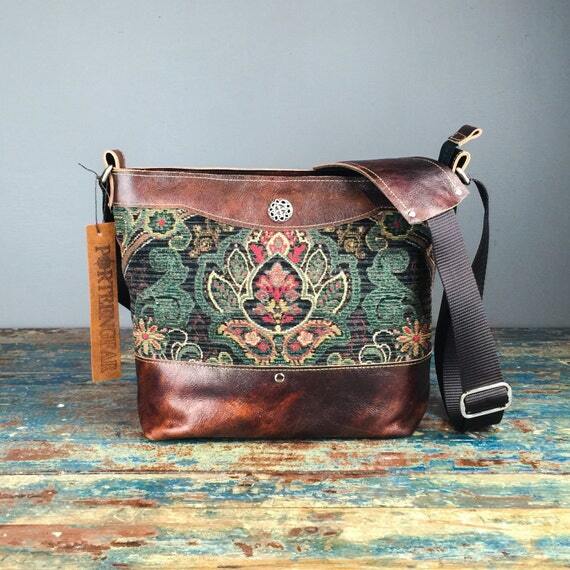 This beautiful Etsy Camera bag was made for the fashionable and organized traveler. Its blue floral patterns are sure to turn heads while the padded interior keeps your camera and it’s accessories safe. It also comes with a free zippered pouch to hold any small items. 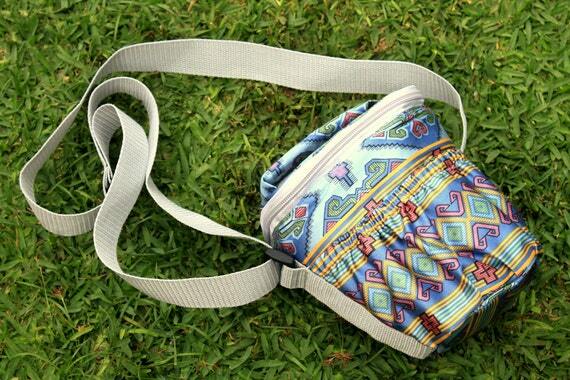 This padded Etsy camera case was created for the traveller tired of carrying bulky camera bags. It protects your camera without taking up too much space and contains a pocket for lens caps or SD cards. It also comes in many different styles and sizes fit for several types of cameras and is made in the USA with high-quality fabric. This Etsy camera bag is made with real leather and isn’t too bulky for travel. It comes with a removable padded lens cover and shoulder strap. This bag can hold several different types of cameras and is very cute! This store has many similar bags with a variety of patterns to better fit you, making it great for a traveling photographer. The exterior of this Etsy camera bag is made with vegan faux leather and the interior has patterned fabric and foam padding to protect your gear. 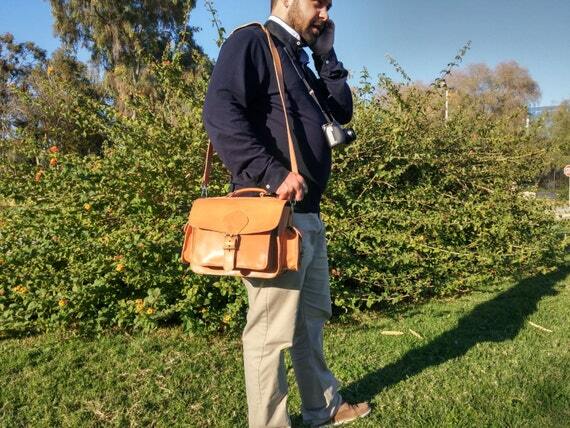 It has both interior and exterior pockets to keep you organized along with room for your DSLR and 3 total lenses. 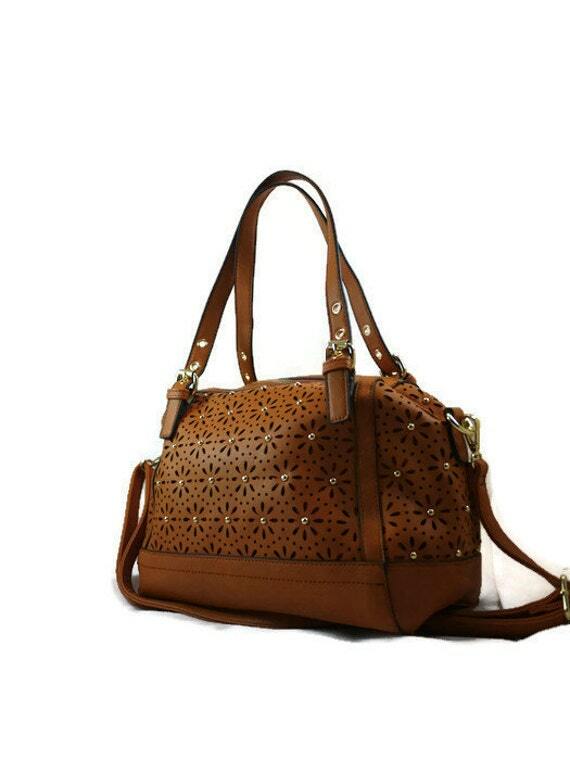 Not to mention, this bag is very fashionable and will go with almost anything. This small Etsy camera case is small enough to fit inside another bag, and it includes padding to protect your DSLR as well as exterior pockets for phones, SD cards, money, etc. This bag is travel-size and super cute, perfect for a passionate photographer who can’t go on adventures without their camera by their side. 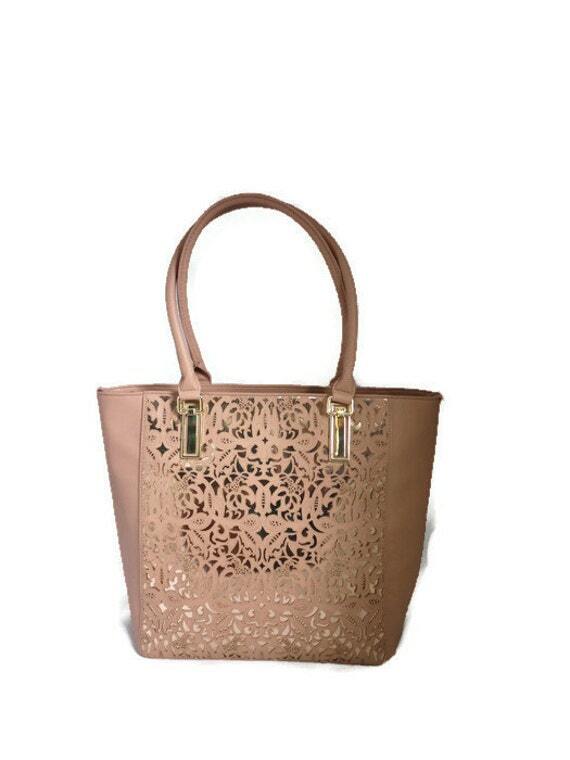 The shop also has several similar bags in many different patterns. 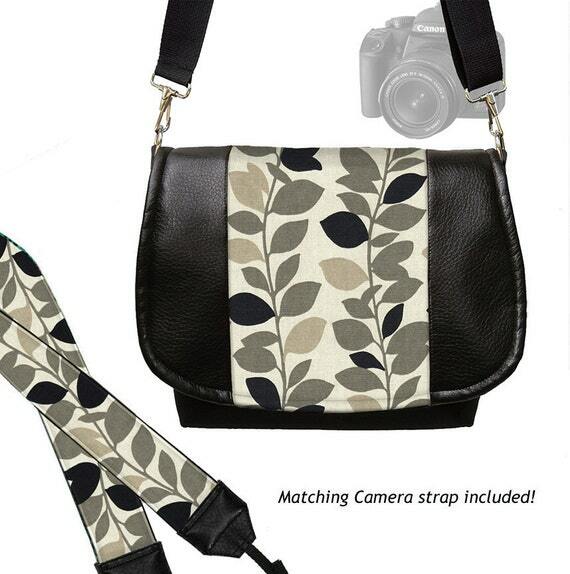 This Etsy camera bag is made with faux leather and patterned fabric, creating a fashionable, high-quality bag. The entire bag is padded with dense foam padding to keep your equipment safe, and it comes with a matching camera strap! Its interior is separated into three compartments for your camera and 3 total lenses, while not being too bulky. 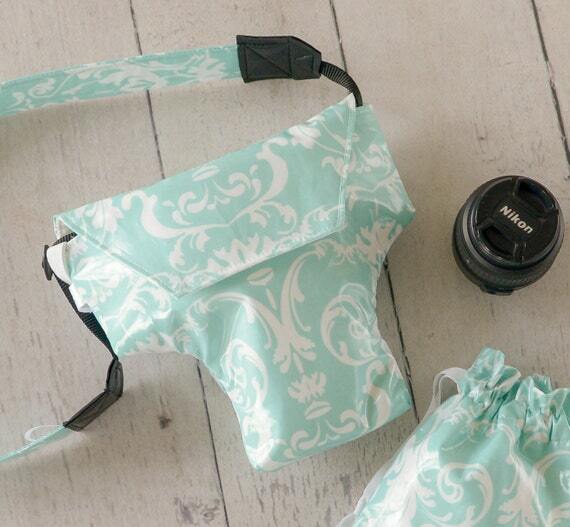 This girly Etsy camera tote is perfect for the photographer and feminine fashionista. It has four interior pockets and room for 4 total lenses as well as foam padding and a back zippered pocket for personal items. This bag lets you carry around your camera without looking like a tourist and can be carried by hand or on the shoulder. 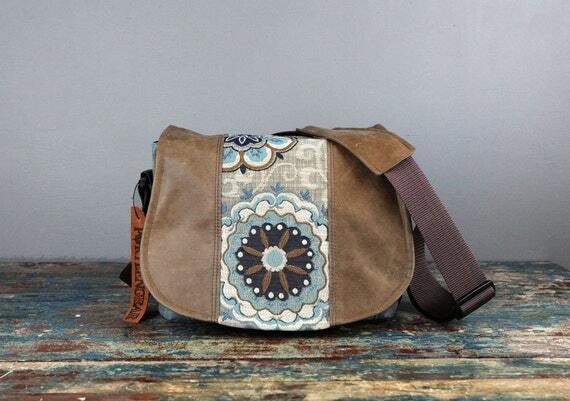 This adorable versatile Etsy camera bag can be worn either as a backpack or over-the-shoulder. It includes foam padding for protection and can hold up to three total lenses. This bag also includes 4 interior pockets to keep you organized. 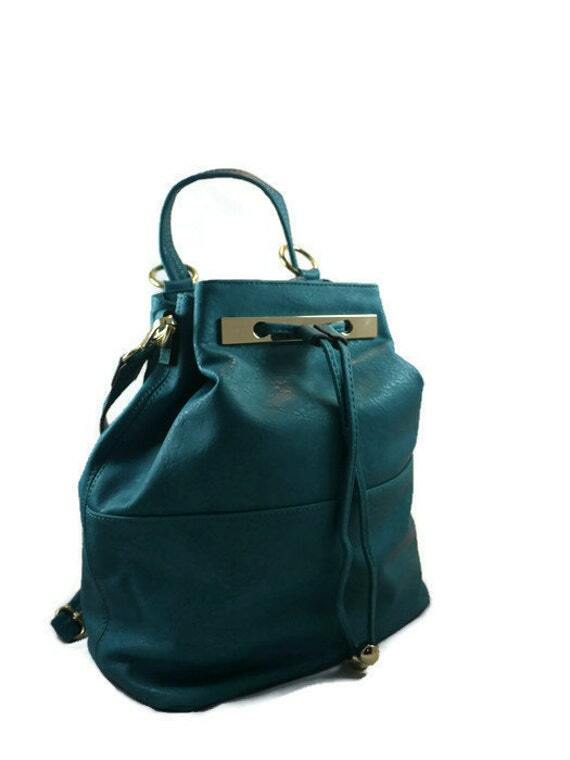 The exterior of this bag is made with gorgeous turquoise vegan leather and gold hardware.